Haifa Group has set itself the challenge of being part of the global effort and to act in accordance with the goals of the UN Sustainable Development Program. By using innovative, pioneering and groundbreaking measures that integrate the three economic, social and environmental dimensions, Haifa is working to achieve the 17 principles of the Sustainable Development Program, which include, inter alia, human rights and equality between the genders, empowering women and girls, eradicating poverty in all its forms and preserving the environment. The Company's main production facility in Israel is located in peripheral areas of the Negev (southern part of the country). It provides home to hundreds of workers from various sectors, who produce advanced fertilizer products using advanced technologies. Directly and indirectly, Haifa Group is one of the main sources of income for residents of that region. In addition, Haifa’s advanced fertilizers are highly suitable for "urban agriculture" projects, in which small growing plots are established for the supply of fresh agricultural produce in densely populated neighborhoods in the centers of large cities. Intensive urban agriculture, using advanced fertilization technologies or hydroponics, is often an important source of fresh produce in the neighborhoods of migrant workers in city centers in developing countries (Koch M. 2017). 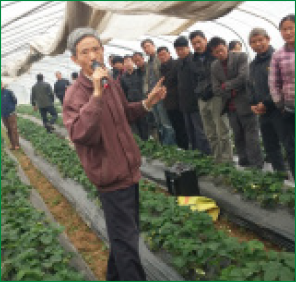 Haifa is also involved in small grower training projects in developing countries in Asia, Africa and South America to encourage the use of advanced plant nutrients to improve productivity and thereby raise the standard of living of growers. The Company is proud to be part of the process of creating sources of income and sources of food in remote areas in developing countries, providing an advanced fertilizer system for various types of agricultural crops and solving feeding problems for a large variety of agricultural crops. Haifa considers itself committed to providing its employees with a safe and healthy work environment as much as possible. For this purpose, maintenance and improvement activities are routinely carried out in all units of the Company, whose purpose is to protect the safety and health of the employees and the resources and facilities used in carrying out their duties. In addition, Haifa regularly conducts activities to integrate safety and health processes for employees in all of the group's units. Based on Haifa's safety, hygiene and environmental policy, the Company acts with determination and perseverance to prevent and/or minimize any environmental impact and to act in a systematic and proactive manner in order to prevent and / or reduce the safety and hygiene risks of its employees. In addition, the Company encourages its employees to maintain a healthy lifestyle and to engage in sports by promoting awareness of the subject and arranging cheap activity in the gym for employees at the Company's offices. The Company is committed to do its utmost to prevent accidents and occupational diseases and performs risk assessment and control, while allocating resources to reduce the risks and paying special attention to the health of the employees. In order to meet these goals, Haifa Group performs a review of the Company's facilities for the search for health hazards twice a year and once a year the production workers undergo health checks. 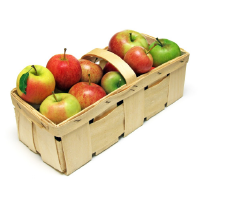 Every new raw material entering the production process is also tested from the point of view of employee health. If the new raw material is found to be a health hazard, alternatives are examined, and if new raw material cannot be replaced, new safety procedures and special protective measures are incorporated into the worker. 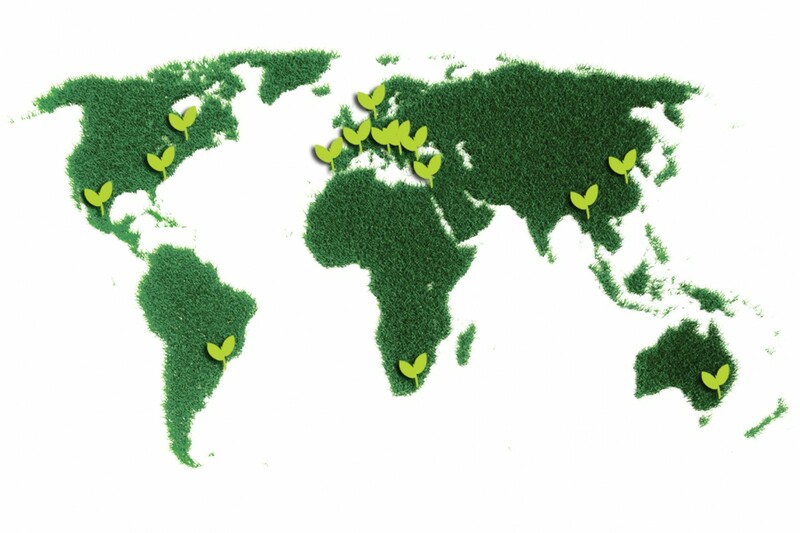 Haifa, as a pioneering Company in the field of special plant nutrition believes in "sharing knowledge" and puts the agronomic knowledge and experience accumulated over the past 50 years for the benefit of the world's farmers. The Company offers free on-line teaching tools, written guides and professional articles in various areas of plant nutrition through its online knowledge center. The Company sees itself as obligated to persevere in its efforts to eradicate illiteracy, raise the technological level and to strengthen the connection with the local farmer in all parts of the world by means of structured training programs of professional material. In addition, Haifa Group's online knowledge site offers applications for mobile phones (free of charge) with important professional information that helps farmers improve their professional knowledge. In addition, as part of Haifa's' comprehensive vision, the Company participates in study centers in rural areas in developing countries, thus creating conditions for the assimilation of agronomic knowledge and advanced technologies among the region's farmers. In the community level Haifa Group is active in many areas, including supporting day care for disabled children in and other educational Projects that are needed from time to time by the community. For these educational Projects Haifa received award from the Association for Volunteering. Haifa Group is proud to distribute tens of thousands of dollars in scholarships each year to encourage students to study in higher education institutions at the Technion - Israel Institute of Technology, Ben - Gurion University of the Negev and Hebrew University of Jerusalem. Haifa Group also participates in funding part of the tuition of the children of the Company's employees studying in academic institutions. Haifa Group performs together with researchers from universities and research institutes in Israel and around the world, among others: Spain, Turkey, Brazil, Vietnam, USA, Australia and Italy. Field studies and experiments at Haifa Group's research farm at Aharonson Farm in Israel are done together with researchers from the academy. In addition, Haifa Group cooperates with government training services in various countries. Haifa initiates and conducts enrichment lectures on correct and accurate fertilization in modern agriculture courses on behalf of the State of Israel. These courses are conducted in developing countries and in Israel for participants from developing countries without any cost on their part. 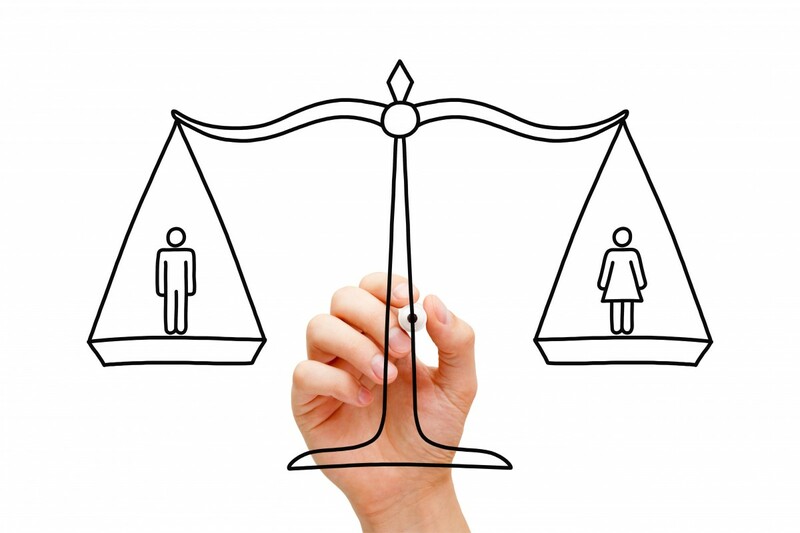 Haifa is committed to creating an egalitarian atmosphere in the organization by assessing and promoting workers without national or other gender discrimination. At the Company's headquarters (which is the coordinating head of the Company's global marketing, logistics, procurement and finance system) 49% of the employees are women in various positions, with at least 20% of senior management positions in the Company staffed by women. At the Company's production sites, out of five production sites, two are managed by women. Through its online knowledge center, Haifa Group encourages women to participate in its training courses and provides free information to all . In this way, the Company provides important professional information to those who are denied this option (including women) and increases the possibilities of employment and narrowing the gaps of weak populations. Right product, Right rate, Right time and Right place. Right product: Haifa is the pioneer in the field of specialty fertilizers and was the first to develop, fifty years ago, soluble fertilizers that can be applied in irrigation water and one of the first to use polymer coated fertilizers that release the fertilizer at a pre-defined and suitable rate, for agricultural crops. In its fertilization plans, Haifa uses fertilizers with specific formulas adapted to the various growth and growth stages, and thus the plant consumes most nutrients and is not washed into the environment. Right rate: By using a formula suitable for each stage of growth, the grower can give the exact nutrient amount needed for the plant. In the past 50 years, Haifa has studied the absorption curves of the various nutrients at every growth stage for various crops and learned how to adapt its fertilization programs and the most suitable fertilizer to every growth stage. The fertilization programs developed by Haifa Group, as well as mobile phone applications and computer programs for planning and control of fertilization, are available on the Company's website for free use. Right time: Haifa fertilizers are provided at the most appropriate time using two fertilization technologies: The fertilization method, which leads the fertilizer in the irrigation water, enables us to decide exactly when to fertilize the plant according to the needs of the plant and by means of polymer coated fertilizers that ensures the release of the nutrients at a controlled rate. Release of the nutrients from the polymer is diffused and therefore does not depend on any environmental factors other than the soil temperature and therefore the release time can be adjusted along the growth cycle of each plant. The use of fertigation and controlled release fertilizers, such as those developed by Haifa, save the use of heavy tools in the process of their application in the field. Haifa's soluble fertilizers are supplied through the irrigation system, thus saving the need for heavy machinery for application during the plat growth period. The release controlled fertilizers are applied in the field at the beginning of the growth cycle and release the fertilizers throughout the entire crop cycle without further application like in the traditional application methods that required 3-4 applications during the growing cycle. In addition, Haifa Group's fertilizers are very concentrated fertilizer, which saves energy in transportation. For example, to transport the same amount of nutrients found in one ton potassium nitrate is required to transport a double volume of other nitrogenous fertilizer and potassium chloride fertilizer. Haifa Group is participating in an effort to increase the use of sustainable and renewable sources of energy by producing and supplying potassium nitrate and sodium nitrate for transfer and heat storage in the solar energy industry. Heating these salts creates an energy-saving battery that can be used at times that sun light is not available at night or during high clouds. These stations, which turn solar heat into electricity, will become an important source of renewable energy in the future. futureFollowing the company's vision of "Pioneering the future", Haifa's production processes implement the best available technology (BAT) requirements in the production structure (EU BREF 2007). The Company prides itself on advanced and unique production technology with a technological backbone that includes self-development of advanced production processes. Haifa Group, subject to the regulations of the Israeli Ministry of Environmental Protection, meet the most stringent environmental standards in the world. The threshold conditions for emissions to the environment were determined according to the strictest conditions in the European and American directives. In order to comply with these standards, Haifa Group operates (under the supervision of the Ministry of Environmental Protection) according to the principles of Integrated Pollution Prevention and Control (IPPC). Apply the Best Available Technique (BAT) to reduce emissions. The procedure for determining the Bat requirements is as detailed in the BAT Reference Documents (BREF), which are included under the IPPC Directive, and refer to different industry sectors according to technological, environmental and economic considerations. Determining specific conditions for the plant, taking into account the unique conditions that characterize the plant and its environment. For this purpose, was carried out a survey and a balance of all materials that enter the plant as raw materials and exit the plant as products or as waste. Conducting periodic surveys, defining gaps that need to be reduced. Switched to natural gas instead of fuel oil. Reduction of NOx emissions in the use of a secondary catalyst within the ammonia reactor of the facilities for the production of nitric acid in Haifa Group. These projects were recognized by the UN in projects to reduce greenhouse gases. Reduction of NOX emissions by adding H2O2 to the last absorption phase in a very unique way. As a global Company, Haifa Group bands together workers from various nationalities, including in all management levels. The Company employs approximately 200 employees worldwide in offices located in Europe, Africa, Australia, North and South America, China, Southeast Asia, Turkey and Israel. At the Company's various sites work shoulder to shoulder workers and workers of various origins and religions, that creates the diverse social structure which characterizes that Haifa Group. Sustainable urbanization requires proper management of two main resources that are in short supply in cities: Land and energy. Experts estimate that the importance of urban agriculture will increase as a source of fresh, healthy produce for the population in crowded cities, because local growth will save the energy invested in transporting fresh produce from the remote rural areas. Haifa Group's special fertilizers, which are highly efficient, allow optimal use of the soil to produce more food while saving valuable soil. In addition, the soluble fertilizers and Haifa's controlled released fertilizers are highly suitable for urban agriculture in small gardens in courtyards, roofs, etc. (Koch M. 2017). Haifa makes sure that the Company's growth and development will be based on the principles of sustainable development, which require minimizing the natural resources required for the production process and minimizing the waste and pollutants that may be created throughout the production process. Haifa Group is careful to take environmental responsibility to ensure the production will meet the strictest law requirements, and Indeed, the Haifa Group achieves these environmental goals of emission values to water, soil and air sources that are stringent in the world and reduces, to the extent possible, the environmental effects of its production facilities. 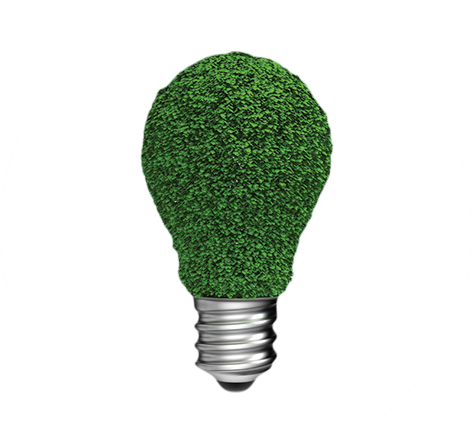 As part of this activity, Haifa Group implements technologies for energy efficiency and optimal use of raw materials in order to reduce the environmental footprint of its production facilities. Haifa Group is a pioneer in the development of complex fertilizers that provide a perfect nutrition plant for high yield with low energy investment and minimal resources. The Haifa Group' fertilizers have low emission of greenhouse gases (that influence the climate change) than regular fertilizers. One example of the efficiency of Haifa's fertilizers is the use of coated urea with a polymer that control the nutrient release rate in similar rate to the plant absorption rate and reduces by 30% the emissions to the environment of ammonia and greenhouse gases compared to the use of regular urea. In the field of production, the Company made many investments to reduce emissions of greenhouse gases. 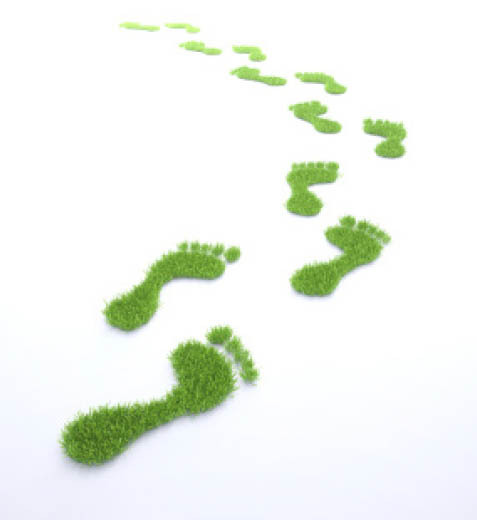 In order to examine the environmental effects of the production processes, a "carbon footprint" test was conducted for the Company's production processes to reflect the environmental implications of the Company's decisions. Oceans and freshwater reservoirs play a vital role in the welfare of mankind and in social and economic development around the world. The oceans are especially important for people living in coastal communities, which make up 37 percent of the world's population in 2010. 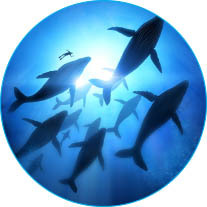 Marine ecosystems have been damaged as a result of environmental degradation, overfishing, climate change and pollution. Haifa Group, as part of its environmental responsibility holds sea discharge permits that comply with the strictest requirements of the Ministry of Defense, out of an understanding of the importance of maintaining the delicate environmental balance of aquatic life. The Company is part of the economic backing of the Kishon River rehabilitation project and is proud to be one of the pillars in improving the quality of the water and the surrounding land. In its production sites, Haifa Group is fully responsible for the discharge to the Kishon River only after reaching a sufficient level of purification, according to the discharge permits and in accordance with the Law for the Prevention of Sea Pollution from Land-Based Sources, based on the Barcelona Convention for the Conservation of the Mediterranean Sea, 1976. The effluent is monitored in real time and the emission values are measured and sent automatically online to external regulators. Haifa is committed to the duty to fight corruption by implementing rules such as non-cooperation with organizations and individuals who make bribes, even indirectly and with third parties, and to maintain transparency and fair trade conditions. To this end, the Company's employees receive training on these subjects each year. Haifa Group prohibits its employees from cooperating with any entity that does not act in the spirit of preserving these values. Haifa Group, like most of the European importing companies, is part of the SIEF (information exchange forum) and shares information sources with companies, some of them competitors, in order to promote safety, professional use and increased efficiency in the use of products, while maintaining an appropriate and safe working environment, Both for the user and the environment. The transparency of the Company enables the prevention of unnecessary experiments on animals and prevents unnecessary suffering from the test subjects.